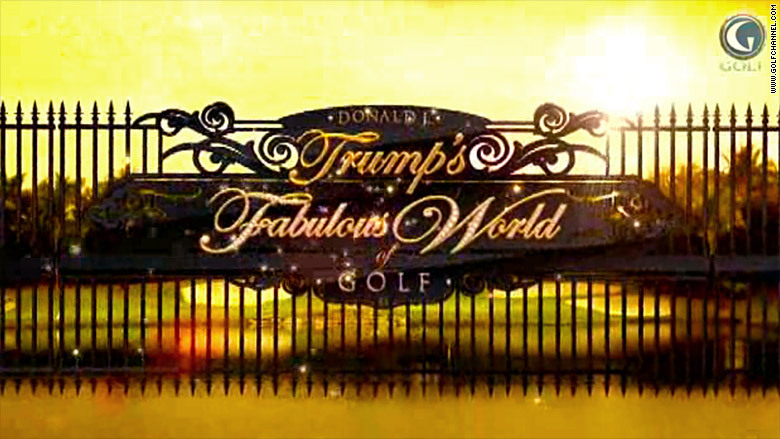 As pressure mounts on MGM studios to release unaired footage from "The Apprentice," another, lesser-known show starring Donald Trump may also contain potential landmines for the Republican nominee: "Donald J. Trump's Fabulous World of Golf." Full episodes are not available for purchase, and there is only a small amount of footage from the show online. The Golf Channel told CNN's KFile that it won't be releasing episodes of the show, which aired for two seasons in 2010 and 2011. 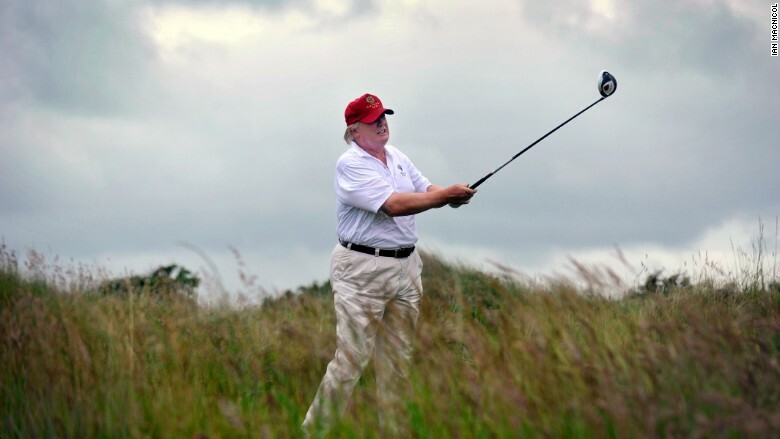 "The episodes that aired did not contain anything newsworthy as it relates to this election, and we are unaware of any newsworthy content that did not make air," said David Schaefer, vice president of communications for the Golf Channel, which owns the show. Another Golf Channel spokesperson initially told CNN's KFile that the channel possessed additional footage beyond what was aired, and that there would be no benefit to the channel in releasing it. Schaefer said that the network did not possess any additional footage and had no plans to re-air any episodes in the future. The one full episode of the show that is available online features scenes of Trump and his sons Donald Jr. and Eric developing golf clubs in Scotland and Colts Neck, New Jersey, the remodeling of Trump's private plane, and actors Mark Wahlberg and Kevin Dillon playing golf. According to news articles and other clips of the show, it often featured celebrities and athletes, from Trump himself to baseball star Johnny Damon and football legends Jerry Rice and Lawrence Taylor. Clips and commercials of the show, some of which are available on YouTube or on the Golf Channel's website, show Trump sometimes using profanity, in one instance instructing an employee to "Use your f----- brain, okay?" One clip includes a brief cameo from former President Bill Clinton. "We had a good time and he out-drove me all day long, but I forgive him," Clinton says in the clip. Ever since the leak of a 2005 audiotape that featured Trump making lewd remarks about forcing himself on women, rumors have swirled about more potentially damaging footage leaking from Trump's show, "The Apprentice." After it was initially reported that Mark Burnett, the co-creator of the show, was blocking the release of the footage, Burnett came under heavy criticism, and he later released statements claiming that he did not own the footage and was not a Trump supporter. In his initial statement after the release of the 2005 Access Hollywood tape, Trump said, "Bill Clinton has said far worse to me on the golf course—not even close. I apologize if anyone was offended." The show was produced by a Philadelphia-based production company, The WorkShop. Matt Howley, a producer at the company who worked on the show, initially told CNN's KFile last week that the production company had unaired footage from the show, but that they did not own it and wouldn't release it. In a later conversation, Howley said that the company did not have the footage and sent it to the Golf Channel at the end of production. The Trump campaign did not return a request for comment on this story.